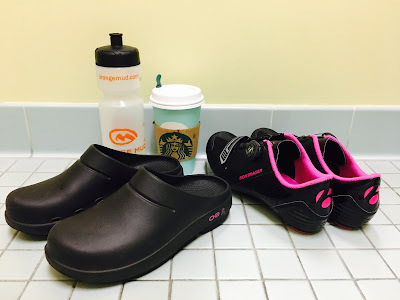 Disclaimer: I was recently sent a pair of OOFOS OOcloog Project Pink Clogs to review as part of being a BibRave Pro. Learn more about becoming a BibRave Pro (ambassador) and check out BibRave.com to review find and write race reviews! So you may remember I had the chance to “feel the OO” for the first time last summer when I tested and reviewed the OOriginal Sport Sandals. Another opportunity as a BibRave Pro came to test a shoe from the Project Pink line. 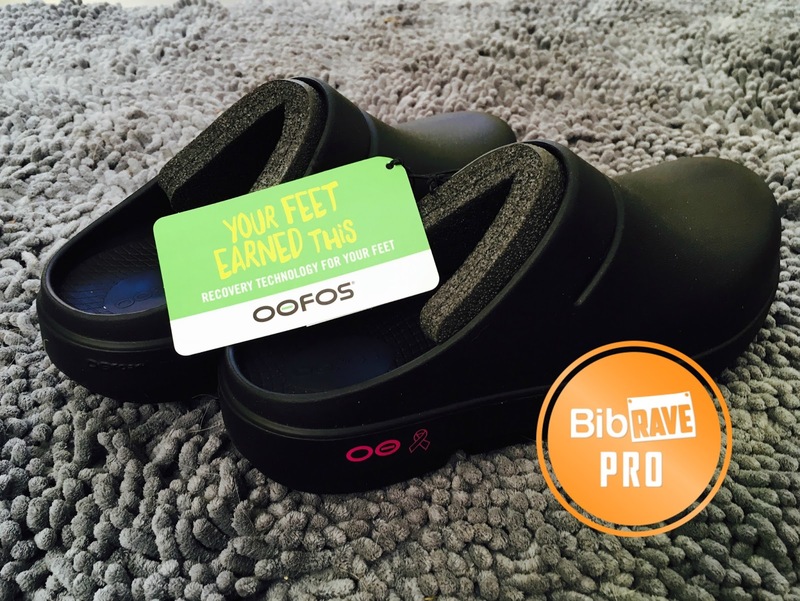 I was originally going to pass this one up but then I found out… OOFOS makes clogs! Why was I so excited about the clogs? Because I can wear them to work! 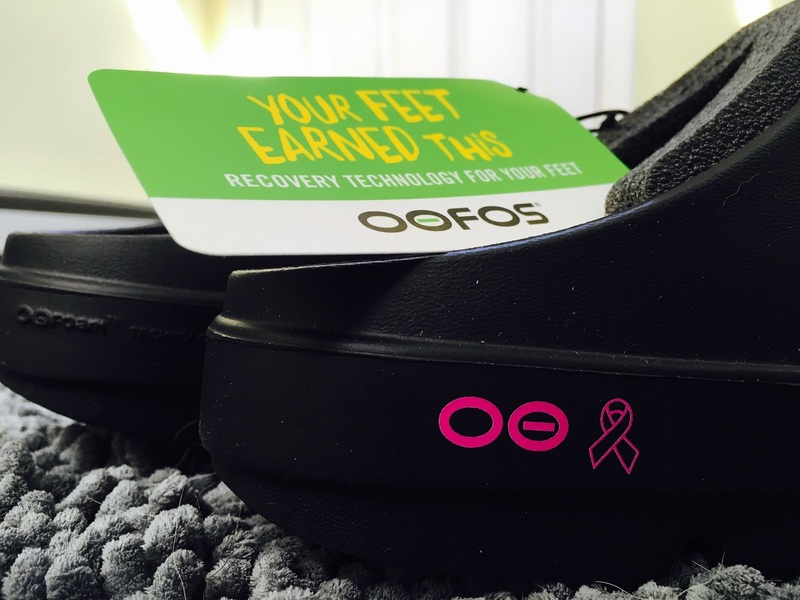 OOFOS is a recovery footwear brand made for an active lifestyle. Although I spend a good amount of time sitting at my desk, I am on my feet most of the work day running around in between teaching classes, training clients, working with therapy patients and covering the gym/pool. In all my years at Cape Cod Rehab and Mashpee Fitness, I have always just worn sneakers to work. 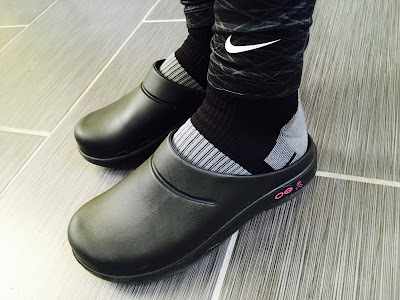 I mean I LOVE my sneakers—I own Nike Lunarglides in every color of the rainbow to match all my work outfits—but it was nice to switch it up and wear a black clog that not only went with everything but also felt extremely comfortable and looked a little nicer and dressier than my everyday work shoe. So what’s the deal with Project Pink? “This extends beyond footwear to a cause that strikes way too close to home: the fight against breast cancer. When do I wear my clogs? 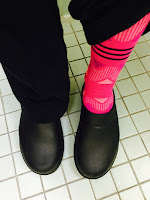 Like I already said… I wear them to work! I throw them on after my run and to go outside with the pup. 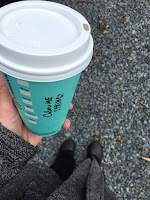 I’ve been wearing them to run errands after work, to go to the grocery store and when I’m out and about on weekends. · The arch support is unreal. I have a high arch and I love that I can feel it. · From afar you may think the clogs look thick and heavy however they are super lightweight and non-bulky. 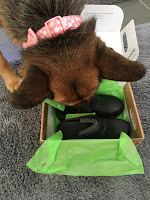 · While I only wore the clogs with socks, you could wear them without. They are made of the same material as the sandals and don’t retain smell. · The clog comes in a shiny or matte finish. 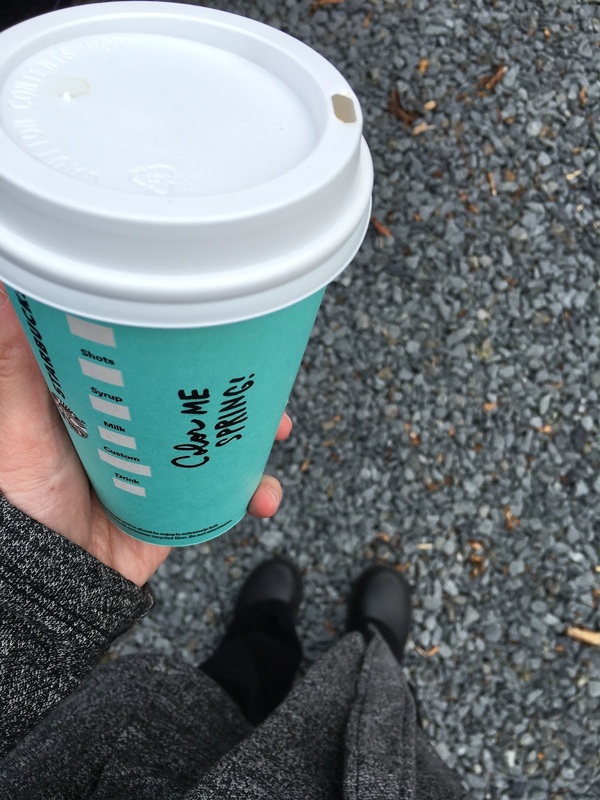 I opted for the matte finish. 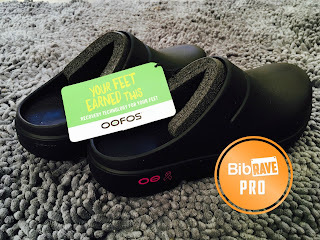 · No pedicure was needed to review this style of OOFOS! · If the clog style isn’t for you, the Project Pink line also features a few different varieties of sandals. · Clogs don’t quite go with leggings, tights, capris or shorts—but who cares! I make it work. Want to read more BibRave Pro reviews?